JOURNEY TO A LAND OF MAGIC AND WONDER! Thayer's Quest is a 1984 laserdisc arcade game which had the novel concept of using a keyboard for the player to interact with the game. (The keyboard used was a custom-designed flat membrane style.) Unfortunately, these keyboards did not hold up particularly well against the rigors of arcade life, and so now, decades later, they have become extremely difficult to find. (The rest of the components of the game are not exactly common either, but they keyboard is definitely the hardest to come by.) As I have so far been unable to locate an original keyboard, creating a substitute seemed my best bet for playing the game. Hopefully others will find it useful as well. Special thanks to Mark Broadhead for divining the inner workings of the TQ keyboard interface. Full documentation is also included in the the download. If you have any questions, you can contact Warren Ondras. This program allows you to emulate the original keyboard for Thayer's Quest by using a PC connected to the Thayer's Quest board via the PC's parallel (printer) port. A functioning Thayer's Quest game setup, minus the keyboard. If you are seeing the TQ attract mode video, and if you hear "press any key to continue" when you insert a coin, then you are ready to proceed with TQkey. If not, the Dragon's Lair Project site has many resources to assist you. You must be running pure DOS, or Win95/98 booted in MS-DOS mode. Interface Cable: In order to connect your PC to the TQ hardware, you need to create a custom interface cable. The TQ board has a small four-pin connector for the keyboard, with pins labeled R, Y, G, and B. You will need to obtain a cable/plug that fits it. Ideal candidates are 3.5" floppy power connectors, or CD-ROM audio cables, as both are readily available. (I have not yet tried to find a source for ordering a specific connector.) You will also need a standard DB25M (25-pin Male) connector to connect to the PC's parallel port. NOTE: It is possible to damage your parallel port, your computer, and/or your TQ boardset if incorrect connections are made. If the interface cable or TQ boardset is not functioning, you will see periodic error messages. Otherwise, key presses are passed to TQ via the parallel port. Pressing ESC terminates the program. 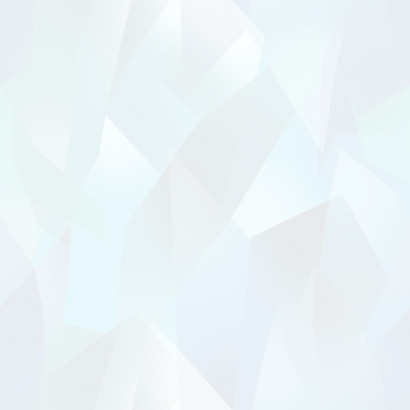 A N - Staff 0 - "No"
B - Silver Wheat O - Crystal 1 - "Yes"
The TQKey application can be freely distributed, provided it is unmodified and is not sold for profit. We are currently considering porting this program to a dedicated hardware card that would eliminate the need for the PC. If you have any interest in seeing such a device, or would like to help, please let us know! 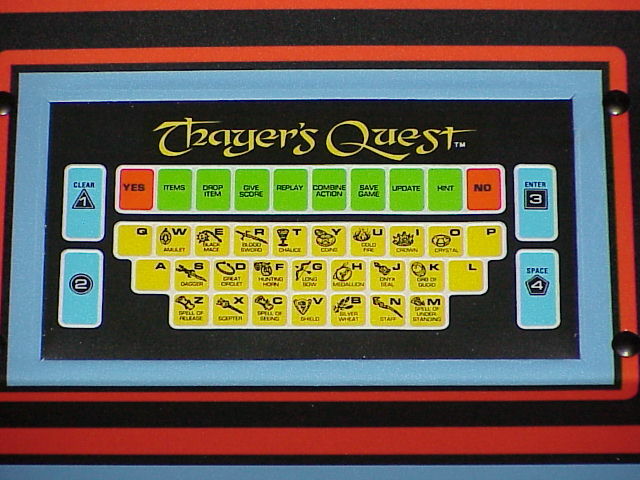 Also, it would be great if someone could make custom keycaps, or a flat membrane keyboard with the original TQ key layout. Such a keyboard would also be useful with the Daphne Emulator. If anyone comes up with anything for this, let us know! The information contained in this document is believed to be correct, and works fine for the author. We are not responsible if you cause damage to your Thayer's Quest boardset, your computer, or yourself.